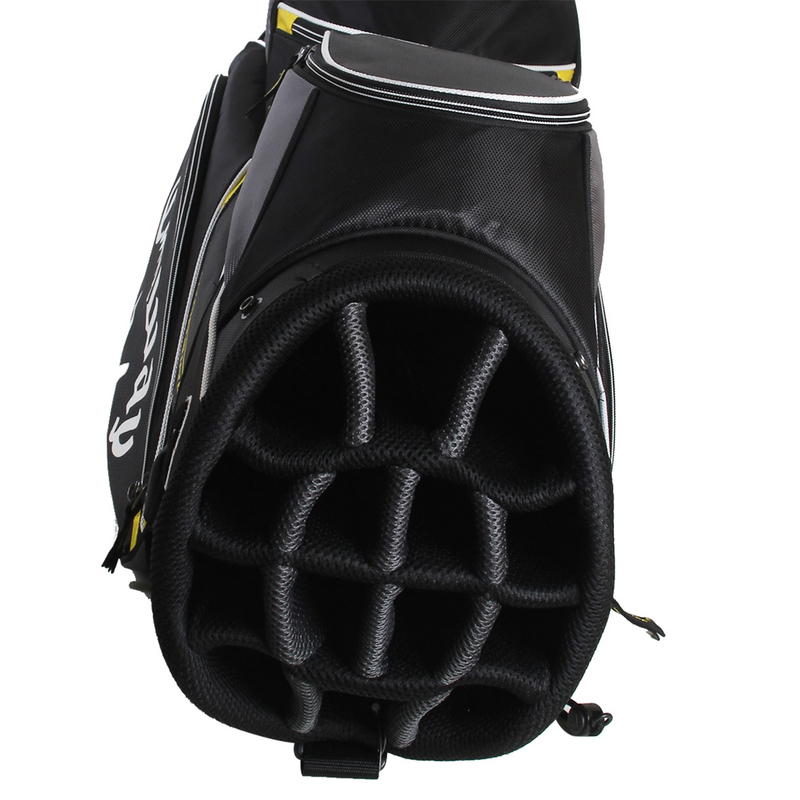 This fantastic golf bag sports a perfectly designed 14-way divider top, with full length dividers to keep all your clubs in check. 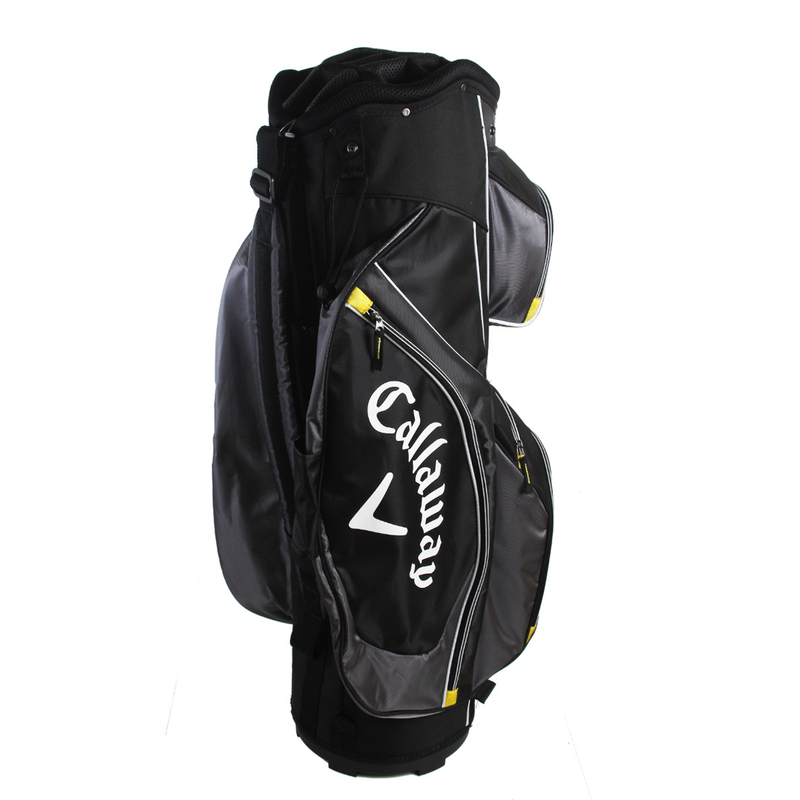 This bag also comes with 7 strategically placed pockets including a drinks pocket, all face forward for easy access to your equipment whilst on your cart. 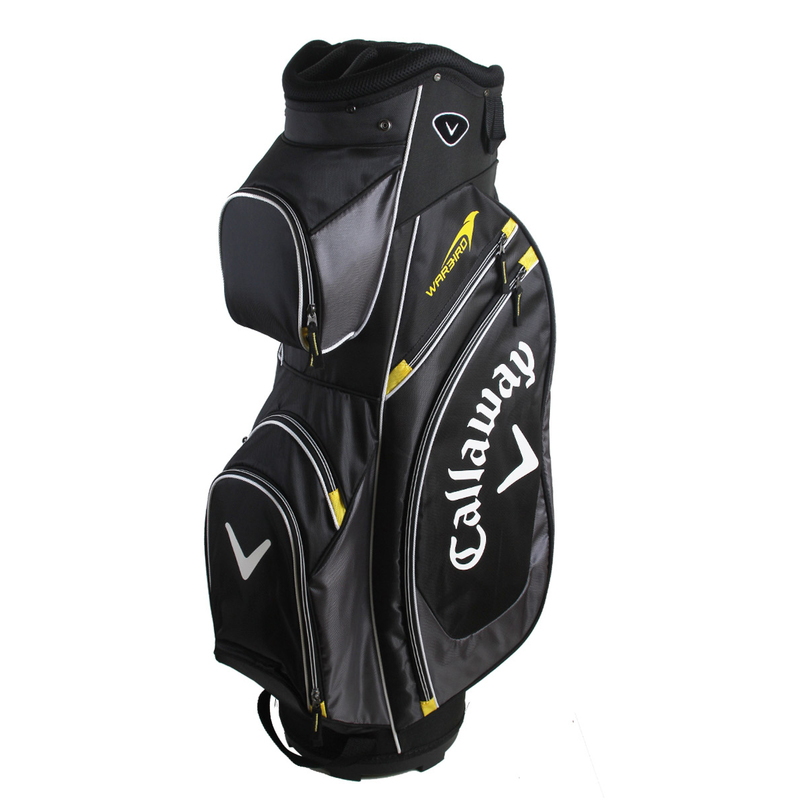 The bag comes complete with matching rain hood, and as a single comfort tech strap for long distance carrying. Weight 1.90kg.